We use cut vinyl and printed vinyl on our substrates to achieve the desired effect. We can even laminate your signs for added protection against damage or graffiti. Speak with one of our experienced shop staff to find out what signs would be best for your application! We print and cut vinyl to almost any size! Our printers and cutters can tackle any job. We can do large vinyl applications for windows and walls. These graphics are great for attracting attention or getting your message across on a grand scale. We can also frost or black out windows with vinyl to add privacy and security. 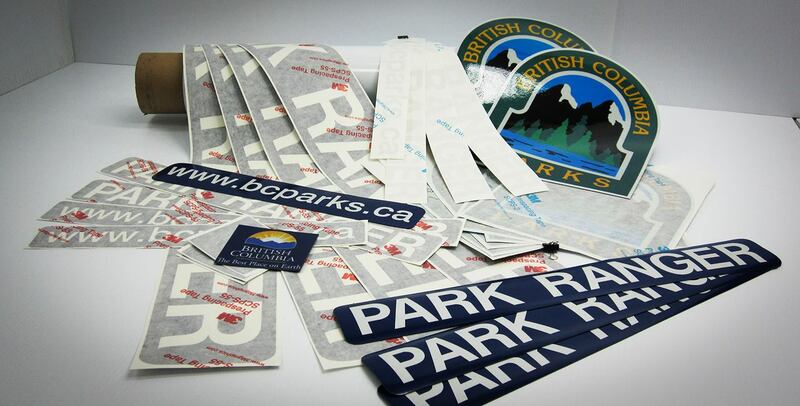 We have the quality machines to do large runs of small decals. They can be printed, cut, or both! Our thermal transfer printing combined with our kiss cut machine can create hundreds or thousands of stickers for nearly any application. 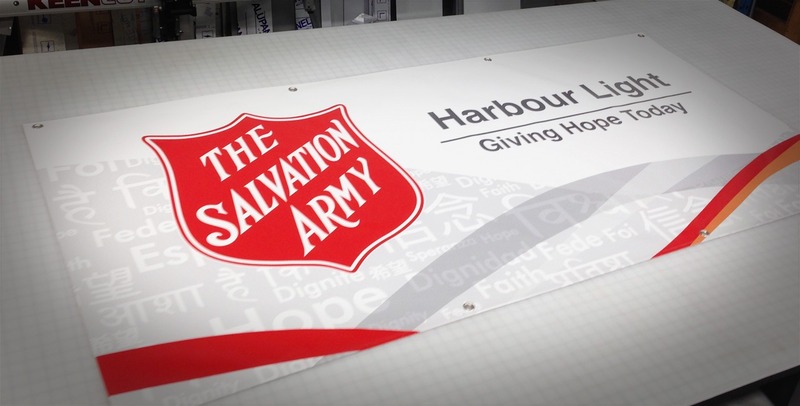 We create a wide range of signs on a host of materials. 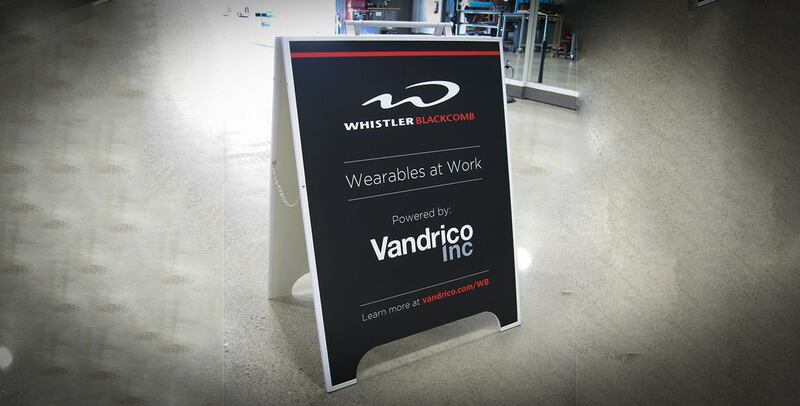 Our signs are suited for indoor or outdoor application depending on the materials requested. We can even help you select mounting hardware and posts.